In September 2015, forest fires in Northern California significantly impacted the region, destroying or damaging over 2,000 structures while burning more than 76,000 acres. The widespread damage taxed the existing infrastructure, downing power lines and severely disrupting cellular infrastructure. The mandatory evacuation plus the addition of support personnel overwhelmed nearby communities, and many displaced residents could not find temporary accommodations within 90 miles of their homes. 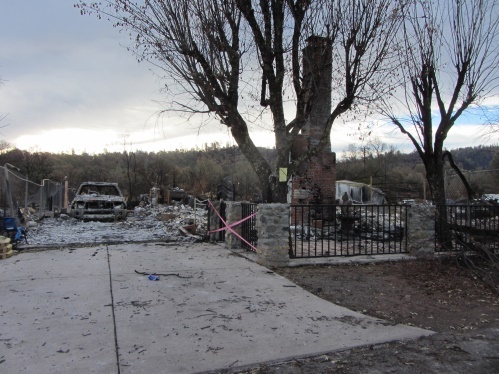 In support of the residents affected by the devastating fires, large insurance companies quickly mobilized catastrophic (CAT) teams to aid in the recovery process. The CAT teams faced similar challenges in terms of infrastructure and found it difficult to find accommodations within a two-hour driving radius. Hotels and motels were completely sold out and room rates had skyrocketed to over $300 per night. In order to serve their customers by efficiently processing claims, the insurance companies needed to provide their teams with a reliable temporary housing solution. GFP Response partnered with a large, multi-faceted insurance company to create a temporary base camp to support the mobilization of their CAT team. Within 72 hours of initial contact, GFP Response had secured a strategic location and deployed a fully-functional mobile base camp consisting of showers, laundry, housing, office space, communication, security, portable toilets, potable water, gray water removal and ancillary infrastructure. 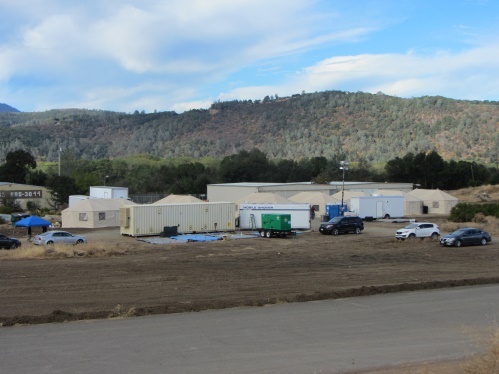 The base camp was in close proximity to their customers, alleviated stress on the region’s already thin infrastructure and minimized the overall cost to support the claims process. Supplying dedicated communication lines (cellular and internet) to connect with corporate headquarters and streamline the claims process for its customers.